You know that vitamin C is great for your body. And we all know how great vitamin C is for your skin. It's a powerhouse when it comes to combating aging and improving the appearance of your skin. The research surrounding vitamin C's benefits for your skin keeps coming in — and now researchers have confirmed just how good and effective this nutrient is. There's a lot of research supporting vitamin C's efficacy when it comes to skin care. When studies about a particular topic begin to pile up, it's common for researchers to conduct a review study to evaluate and synthesize what's been found so far on a particular topic. One such review was recently published in the journal Biomolecules. 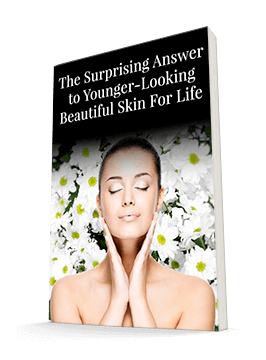 The researchers wanted to determine some of the best ways to stop oxidative stress, which as you probably know, is a major factor in skin aging. The researchers noted: "Vitamin C is very prominent and the most abundant of all antioxidants." They even pointed out that vitamin C has significant effects on photo-aged skin, likely because it can mop up the free radicals created by UV exposure. They found that vitamin C reduces both extrinsic and intrinsic skin aging. 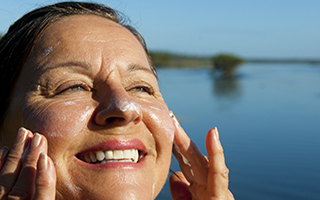 While I want you to protect your skin from aging as much as possible by wearing sunscreen, I know that despite our best intentions, we do get significant sun exposure. So I want to be sure we have the best ingredients available to clean up damage the sun might do. Vitamin C is one of the best out there. It's so effective that we made it the star of my Vitamin C Serum. I have patients and friends who have started using it morning and night and they have sent me New Year's greetings and thank yous. One of my patients told me that in a week of using it twice daily under her moisturizer, she has noticed significant improvement in the texture of her skin and her pore size. She's being consistent and looks forward to seeing some of her facial brown spots diminish.